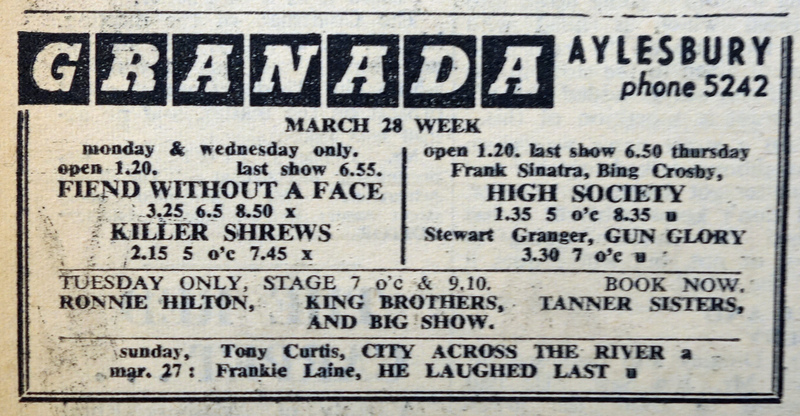 The first of the 1960 Granada stage shows starred Gene Vincent with Wee Willie Harris and Al Saxon. Also on the bill were The Rockets, The Bachelors (not the Irish group that later achieved chart success), Keith Kelly, Max Seymour and Lance Fortune. The compere was Don Arden. 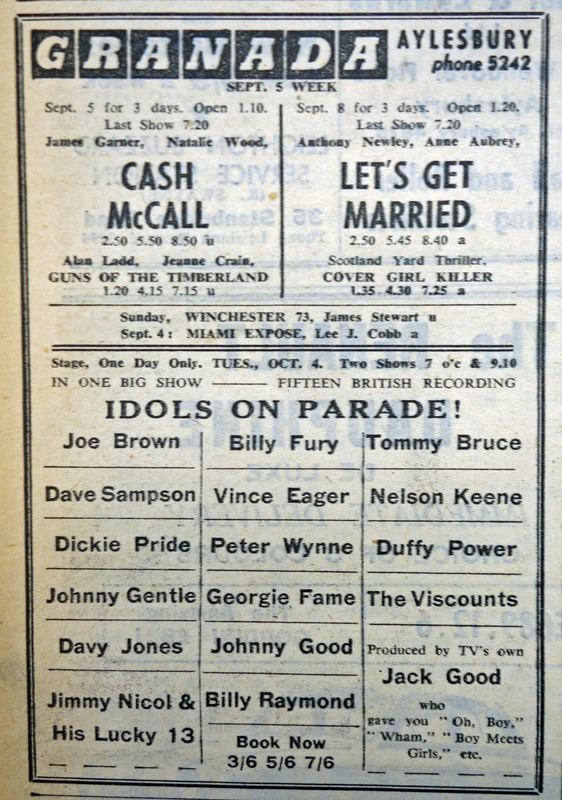 This was Gene Vincent’s first visit to England. Gene Vincent, the American rock ‘n’ roll singer, whom I met in London last month, was in Aylesbury at a stage show on Tuesday. And teenagers did not hesitate to tell me they did not think a lot of him. I, too, was disappointed. He was not half as lively as when he appeared in the City. But had you seen him in his dressing room you wouldn’t have been surprised. He looked dead tired. In fact, he did not look capable of even talking when I saw him. Bed would have suited him better than a stage, but he has been working non-stop since he arrived in this country … I left him reading a magazine – and felt gratified I’m not in show biz. To me it seems the hardest way of earning a living! But I still say that when he is on form he’s good. 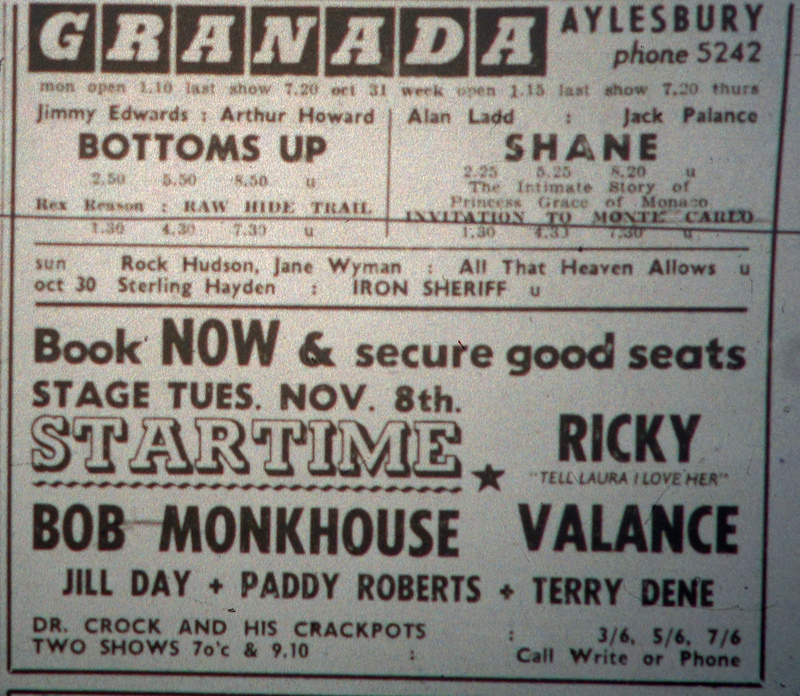 The advert for The Granada Show, Tuesday 12th Jan 1960, refers to Gene’s first UK tour. 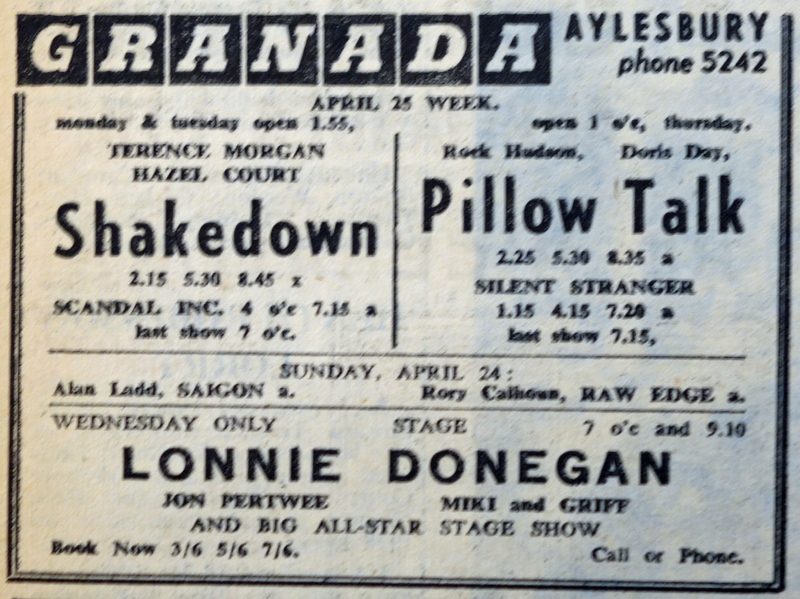 Eddie Cochran joined the tour on 24th Jan at Ipswich, it stopped for a ten day break on Saturday 16th April after a week run at Bristol Hippodrome. 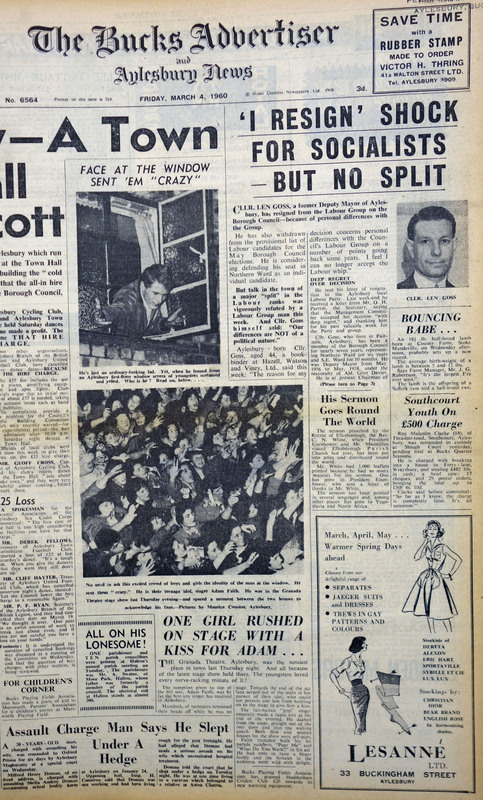 The crash which took Cochran’s life happened in Chippenham on the way from Bristol to London that night. 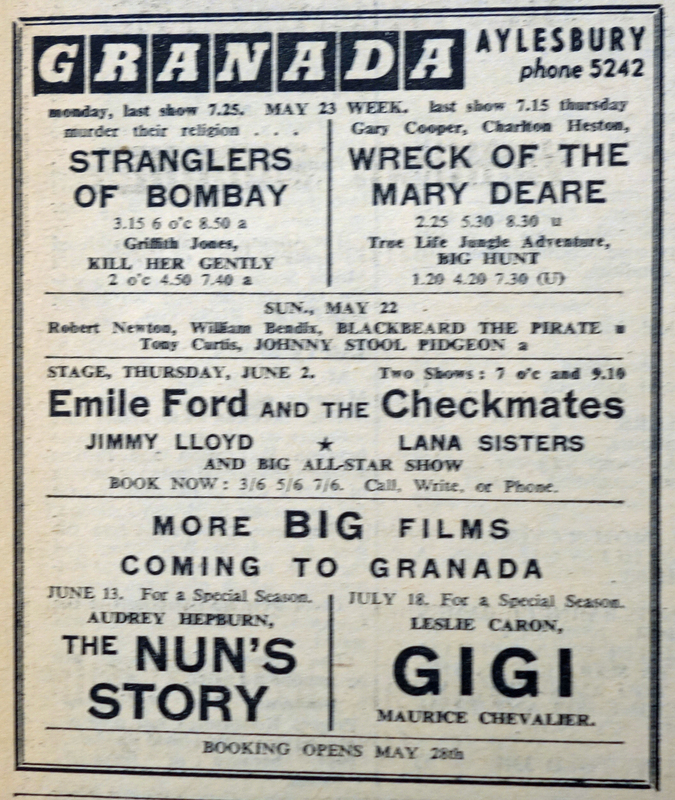 Gene Vincent would be back at the Granada in February 1961, and also played at the Borough Assembly Hall in 1964. 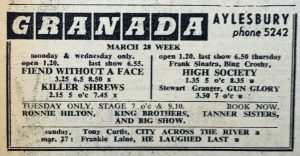 On February 25th, Adam Faith headed a bill that also included the John Barry Seven, The Liddell Triplets, Julie Rayne, Little Tony and compere Mike Martin. 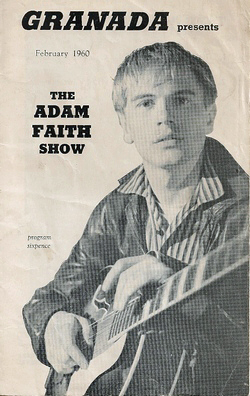 It seems that Adam Faith received a much better reception that Gene Vincent had. 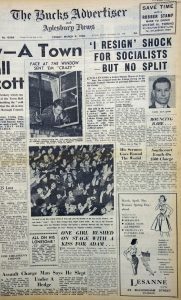 The Bucks Advertiser front page reported under a heading “One Girl Rushed On Stage With A Kiss For Adam …” that “the reception given to top of the bill star, Adam Faith, was by far the best any singer has received in Aylesbury”. Click on image to enlarge. March 29th saw Ronnie Hilton, the King Brothers, the Tanner Sisters and Rita Shearer appear. 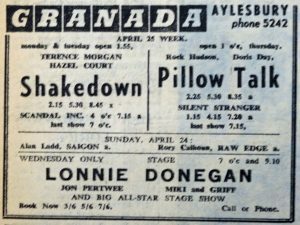 On April 27th, Lonnie Donegan was back in town – he had previously appeared two years earlier in 1958 with his skiffle group. He now had a hit with “My Old Man’s A Dustman” – not well received by skiffle fans, but it reached number one in the UK within a week of being released (the first time this had happened). 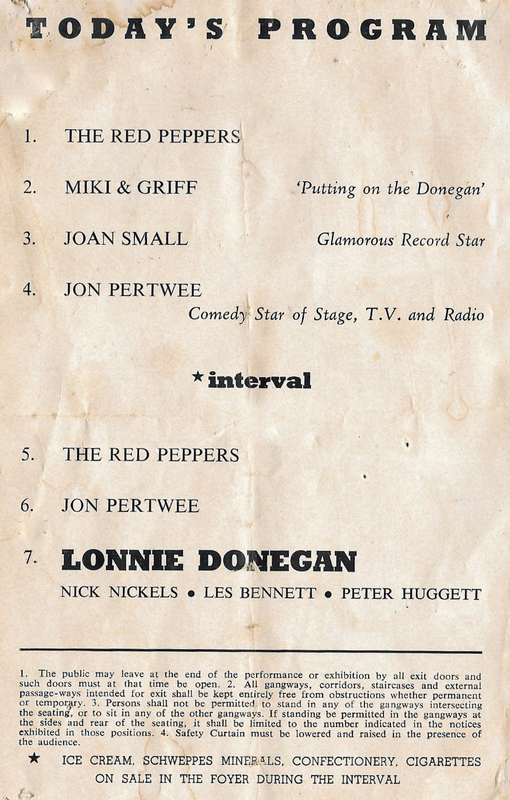 Also on the bill were Jon Pertwee, Miki and Griff, Joan Small and The Red Peppers. 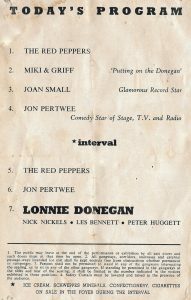 On June 2nd Emile Ford and the Checkmates were top of the bill, with Paul Beattie and the Beats, Frank Ifield, The Lana Sisters, Jimmy Lloyd, Alan Randell and compere Tony Marsh. Emile Ford and the Checkmates had a number 1 with “What Do You Want To Make Those Eyes At Me For” in late 1959 and were voted Best New Act in 1960 by the readers of New Musical Express. The next show, on October 4th, must have set a record for the number of artists appearing in one show. 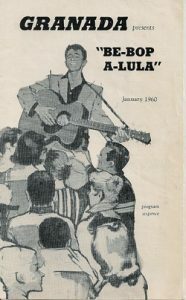 Under the title “Idols on Parade”, there were no less than fifteen artists on the bill. 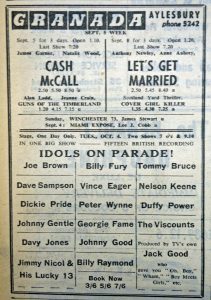 These included Billy Fury, Joe Brown, Tommy Bruce, Vince Eager and Georgie Fame. 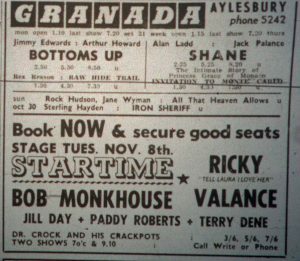 The last show of the year on November 8th had Bob Monkhouse as top of the bill, with Ricky Valance, Jill Day, Terry Dene, Paddy Roberts and Dr. Crock and the Crackpots. 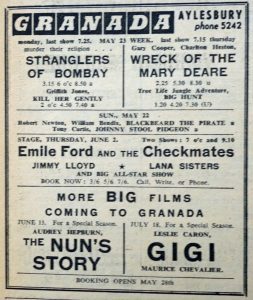 Paul Waddingham, who has supplied a lot of information about the shows at the Granada, was a 14 year old at the time, and thrilled to meet Bob Monkhouse. Paul kindly supplied the following newscutting (click to enlarge).